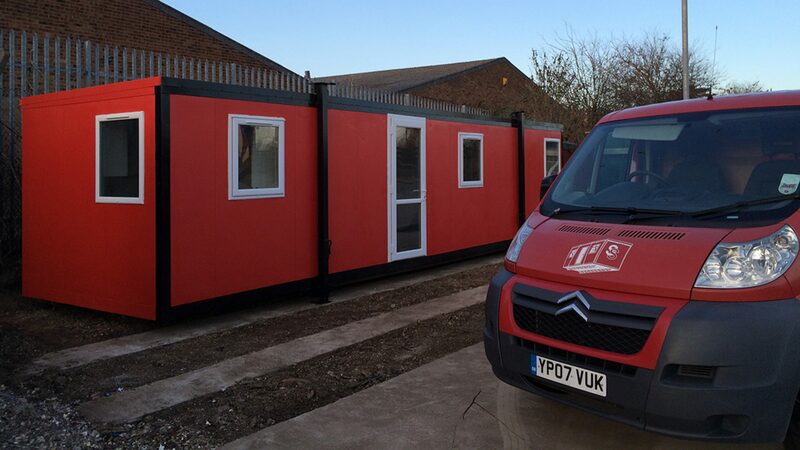 Cabins for Sale – S & S Site Services (Nationwide) Ltd.
Not only do we site and refurbish cabins but we also stock a small variety of cabins. We offer fully complete cabins to a high level of finish. 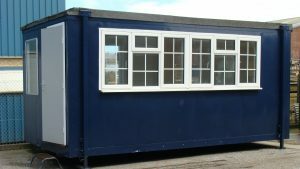 We can then modify cabins to suit the customer’s requirements, including additional windows, doors, internal partitions, electrical and plumbing services. If you require something particular we may be able to source a cabin for you. Cont​a​ct us now to discuss your requirements. The cabin features one large double glazed window, four single glazed windows, brown carpet tiles and a magnolia internal finish to the walls. There are no electrics in the cabin, meaning you start with a blank canvas for all your sockets and switches. This is perfect for a small office.